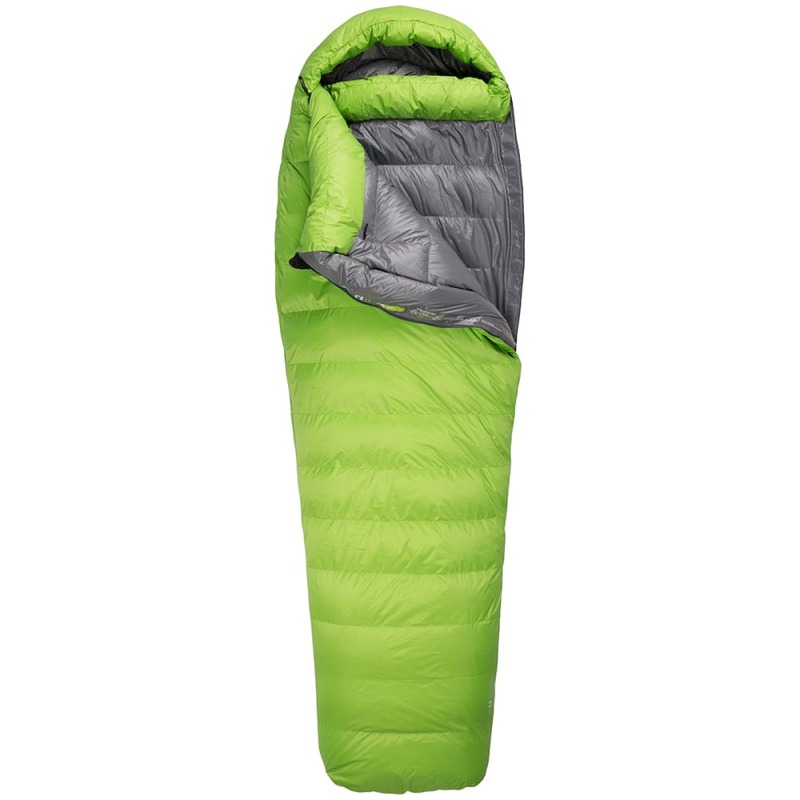 The Latitude™ down sleeping bag is an excellent versatile option designed with a tapered rectangular shape that suits a broad range of temperatures and activities. 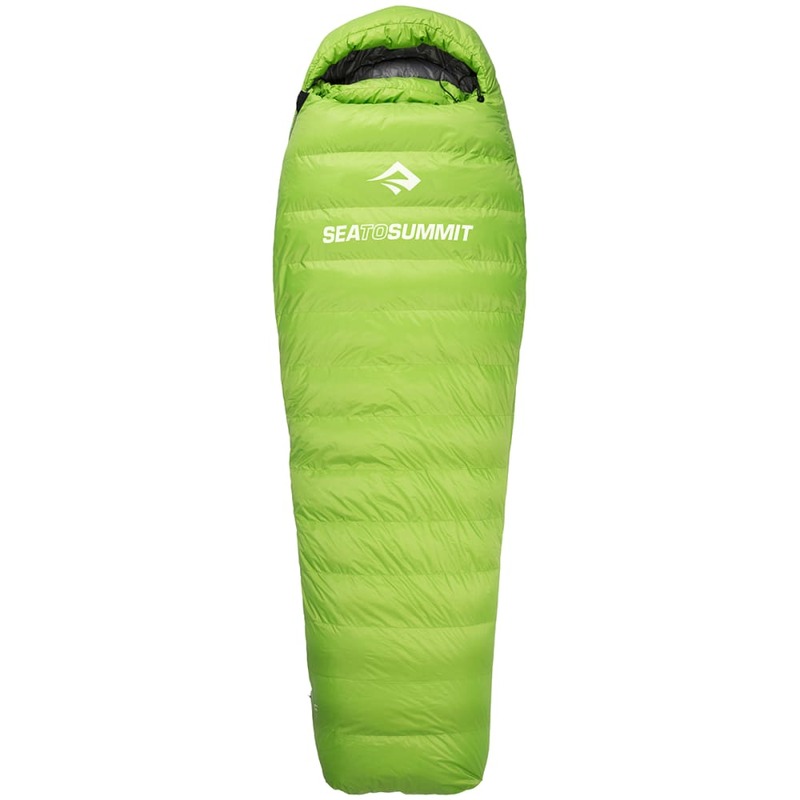 It's filled with 750+ loft RDS certified ULTRADRY Down™ and features a large hood, broad shoulders, large chest area, and wider foot box, offering a luxuriously comfortable backcountry bed. With the addition of a full-length side zipper and foot zipper, this bag can be opened out to a camping blanket or camping quilt. When the mercury drops, the neck collar and draft tube will help retain the warmth of the bag, and the 2D NanoShell™ outer fabric will help mitigate moisture. The Latitude could be your perfect sleep refuge for traveling, hiking, cycle touring, ski touring, snow camping and more, depending on your selection. 15°F: 7.7 L &approx; 6 pack of toilet paper. Un-quilted. 3.5 Season: comfort for fall, some winter, and all of spring. Perfect for summer when used as a quilt. Zip Options: Full-length left side and foot box zipper. Unzip fully to use as blanket. Fill weight: 1 lb., 3 oz. Fits up to: 6 ft. Packed size: 7 x 12 in. Stuff Sack Size: 7 x 12 in.